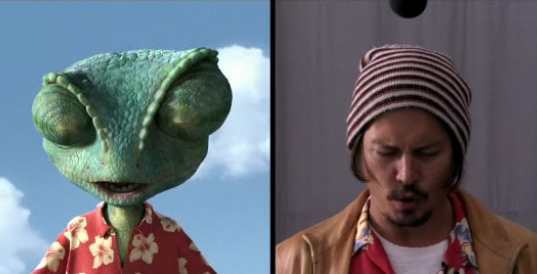 Johnny Depp and the rest of the cast talk about voicing Rango. The movie Rango is about a chameleon with an identity crisis. Gore ou are so brilliant!! What an awesome way to draw out the emotions for the characters. I love it. Looked like everyone was having a great time having fun and acting silly. Can’t wait to see the movie.